Amy is an Irish actress and singer. Amy has appeared in many theatre productions both in Ireland and the UK and made a dramatic exit on RTE's Fair City as Hannah Mark last year. When not acting, she works in radio as a news reader and presenter. Amy also dabbles in production most recently working on the podcast ALL ABOUT DIS'. What an incredible night was had as part of the 24 hour plays! Dreams came true on that Abbey Stage for sure! Catch Amy in Flicker as part of The New Writing Week at The New Theatre, Dublin 26th September. Written by Róisín Coyle, directed by Sarah Baxter. Amy as Hannah Mark on Ireland's longest running hit TV soap. 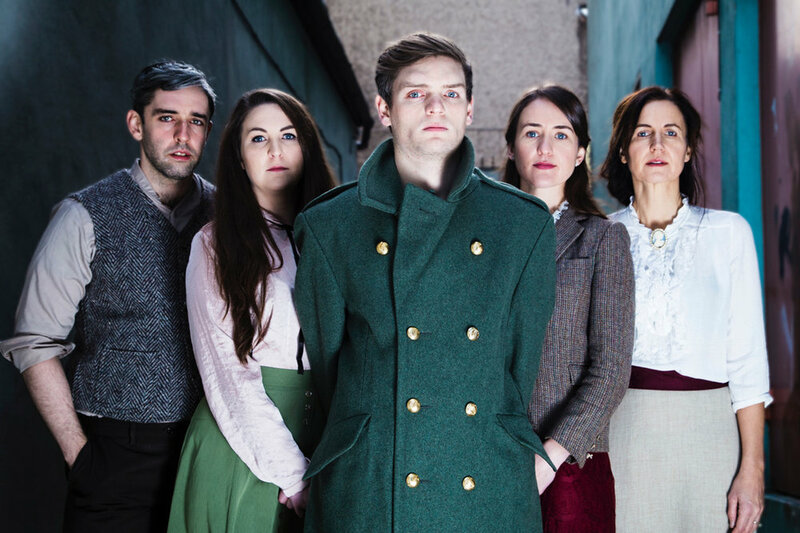 Amy cast in Ledwidge by award winning writer Gearoid Humphreys. It will go on National Tour in March/April 2016. Listen back to the Stage Door Interviews here! Probation Services to use Trees Rd'S 'Restorative Justice Training Video'. Thanks to all for the hard work and professionalism! Ann Matthews' play 'Madame de Markievicz on Trial 'finishes national tour to great acclaim at the Irish Cultural Centre Paris.